Watch our on-demand webinar, hosted by Kore.ai in collaboration with Workplace by Facebook. 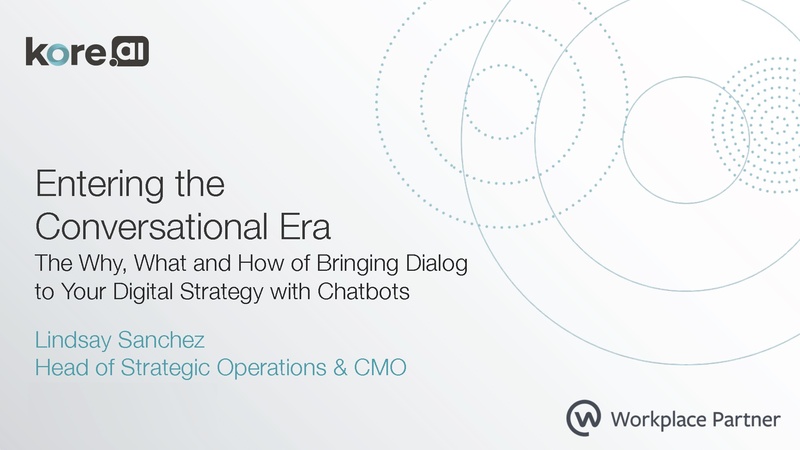 See what we've learned from our experience building an enterprise-grade Bots Platform and helping 75 Global 2000 companies with their chatbot deployments. We invite you to discover how we're laying the groundwork for others, so you can maximize your own approach.